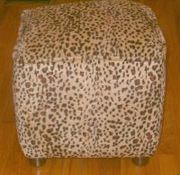 "Searches for leopard prints are up 106% for homes," notes Henderson. 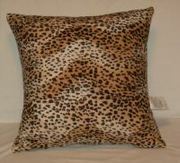 "While it’s certainly not a new thing – leopard has been in the home for decades & decades – my thought is: use it sparingly! 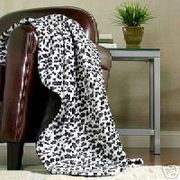 Use it on a chair or pillows, but god forbid, not something like a lampshade." 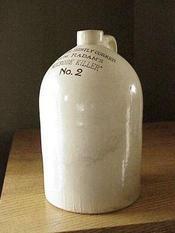 "What I’m shopping for, I’m crazy for, is stoneware, jugs & crocks. They are this earthy, off-white color, sometimes with brown along with it. They make the coolest looking objects for home, and they’re practical because they can be used for storage. They have a lovely handmade quality." "I’m a big fan of Danish design. My thought is that Danish design transcends the label of a trend. It's smart to purchase things Danish because they hold their value, especially when compared to most of what’s mass produced on the market today." To see what else is floating Henderson's boat, check out his newsletter on eBay: What I Love. I love the Danish look the best - simple yet elegant and still functional. I'm the practical type I guess.